Sri Ramachandra Kaviraja is an eternal associate of Lord Caitanya and serves as Karna Manjari in Krishna’s eternal pastimes. 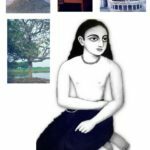 From the very childhood, he exhibited his devotional symptoms and soon achieved mastery over the various Vedic scriptures. He was highly intelligent with unparalleled qualities and he was as beautiful as Cupid himself. He practiced medicine at that time, but it has been mentioned in the revealed scriptures that such was the nature of his treatment, that his patients would be benefitted not only materially but spiritually as well. There is a very interesting story as to how Ramachandra surrendered his life and subsequently accepted initiation from Srinivasa Acharya.‘The Gaudiya Treasures of Bengal’ considers itself immensely fortunate to have been able to visit Sri Srinivasa Acharya’s maternal home at jajigram (near Katwa), where Thakura Srinivasa had spent such a significant portion of his glorious life. Jajigram is the sacred place where Ramachandra Kaviraja, the great disciple of Srinivasa Acharya, first met with his eternal spiritual master. A newly wedded Ramchandra Kaviraja was passing by this place along with his wife in a palanquin. Sri Ramachandra was so beautiful that the onlookers were amazed and kept staring at him. He resembled a Gandharva. At this moment Srinivasa Acharya, who had also taken note of Ramchandra’s beauty, sighed that such a person could have been engaged in so many great services for Krishna. These words created a very deep impact on Ramchandra’s consciousness. Very soon, he renounced all his wealth and family and surrendered himself at the lotus feet of Srinivasa Acharya. Srinivasa Acharya accepted Ramachandra, who was his eternal disciple, and instructed him in Lord Gauranga’s teachings. – After accepting initiation, Ramachandra began floating in the nectarian ocean of divine love. The wonderful ecstatic devotional symptoms of his, increased day by day. Ramachandra Kaviraja went onto become great friends with another stalwart vaishnava, Sri Narottama Das Thakura (refer – ‘Kheturi, Rajshahi (Bangladesh) – Sripat of Sri Narottama das Thakura’) and they relished each other’s association dearly. Hence in his song ‘Gaurangera duti Pada’, Narottama Das exclaims – ‘Ramachandra Sanga mange Narottama Das’ (Narottama aspires for the association of Ramachandra Kaviraja). Ramachandra actively participated in the festival of Kheturi, which took place at Narottama das’ sripat, and was instrumental in making it a grand success. 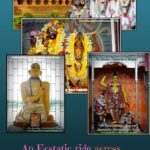 Thousands of Gaudiya Vaishnavas from all parts of India had gathered at the Kheturi mahotsava, five hundred years back, in order to commemorate the auspicious occasion of Gaura Purnima. Once while residing at Bishnupur, Sri Srinivasa Acharya became suddenly engrossed in deep meditation. He became absorbed watching and relishing the eternal pastimes of Sri Radha and Krishna in the Yamuna. This is one of the characteristics of exalted devotees. They are qualified to relish and participate in the eternal pastimes of the Lord. Srinivasa Acharya, who was the incarnation of Mani Manjari, could see that Radharani was so absorbed in Her play, that She did not notice Her nose ring falling off Her nose into the waters. Sri Rupa Manjari informed Guna Manjari of the nose ring’s loss, who in turn asked Mani Manjari to find it in the Yamuna. All the other Gopis returned home. Mani Manjari (Srinivasa Acharya), began looking for the ring, but she could not find it. Meanwhile, when Srinivasa’s wives noticed that their husband was absorbed in meditation for an unusually long period of time, they became very anxious and alarmed. The whole day passed and yet he did not come out of his trance. The news spread far and wide and even the King of Bishnupur, who was a disciple of Srinivasa, arrived at the scene. When they saw that Srinivasa’s meditation was unbroken even at noon the next day, they called for Ramachandra Kaviraja, who was then residing in Teliya Budhari (near Bhagawangola). Ramachandra arrived and examined his Gurudeva, and assured all that he would soon be regaining his external consciousness. Saying thus, he sat down and entered into a deep meditation. Ramachandra Kaviraja, who was an incarnation of Karuna Manjari, could see his worshipable Gurudeva within the waters of Yamuna in spiritual Vrindavana. Karuna Manjari entered into the waters as well and found out Radhika’s nose ring from under a leaf inside the water. Finding the nose ring, the two little girls, went and handed it over to Guna Manjari, who in turn handed it to Rupa Manjari, who placed it upon Radhika’s nose. All present began glorifying Radhika’s astounding beauty. Radharani was very pleased with Ramachandra Kaviraja and handed over Her chewed betel nut remnants, as his reward.After relishing this wonderful sight, Ramachandra and Srinivasa’s meditation broke and they regained their external consciousness.Srinivasa embraced Ramachandra Kaviraja, who offered his respectful obeisances unto the lotus feet of his spiritual master. Ramachandra still had with him the betel nut remnants of Radharani in his hands, and he thereafter distributed the Mahaprasadam unto all present.Being relieved, all the devotees glorified the two of them and blissfully chanted the Lord’s holy names. Ramachandra was awarded the title ‘Kaviraja’ by Sri Jiva Goswami who was amazed to note his wonderful poetic acumen. All the senior Vaishnavas of Vrindavana acknowledged this honor conferred upon Ramachandra. Ramachandra subsequently composed a biography of his Gurudeva and named it ‘Srinivasa acharyera jivana charita’. Apart from this, he had composed other notable books like Smrana darpana, Sadhana Chandrika, etc. Taking his leave from Narottama das Thakura, Ramachandra Kaviraja accompanied Srinivasa Acharya in his final journey to Vrindavana. After Srinivasa Acharya had passed away in 1532 AD, Ramachandra wrapped up his earthly pastimes as well. The Samadhis of Srinivasa Acharya and Ramachandra Kaviraja are situated in the Dhira Samira Kunja, in Vrindavana. Sri Govinda Kaviraja, the brother of Ramachandra Kaviraja, was a great poet, who subsequently surrendered his life at the lotus feet of Sri Radha and Krishna. At the time of Govinda’s birth, Sunanda Devi suffered from intense labor pain. Damodara Sen was a devotee of Goddess Durga. When Damodara Sen learned about his daughter’s predicament, he prayed to Durga Devi and fed Sunanda the water from Durga yantra. Soon, Sunanda gave birth to a beautiful child who was later named Govinda. A few years after Govinda was born, his father Ciranjiva passed away. Being raised at his maternal father’s home at Srikhanda, Govinda was brought up amidst Saktas, or devotees of Maa Durga. As compared to his brother Ramachandra, who was a Krishna bhakta, Govinda, since his childhood, was a worshipper of Bhagavati Devi (Goddess Durga). After Sunanda Devi passed away, both Ramachandra and Govinda shifted to Kumarnagar. It was here at Kumarnagar that Ramachandra Kaviraja got married to Ratnamala Devi and subsequently surrendered himself unto Srinivasa Acharya. 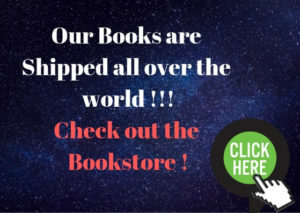 Soon afterward, Ramachandra and Govinda decided to shift to the peaceful and blissful village of Teliya Budhari (near Bhagawangola), where they already had some land. Ramachandra insisted on shifting to Teliya Budharu, because he felt that over here he would receive a greater association of Srinivasa Acharya, who would have to pass over Teliya Budhari, to reach the Sripat of Narottama das at Rajshahi. As presented before, Ramachandra and Narottama subsequently became the best of friends, and could hardly tolerate separation from each other. Adjacent to the residence of Govinda Kaviraja in Teliya Budhari existed two ponds, which were commonly known as ‘Joda-pukura’ (Pair of ponds). Innumerable lotus flowers adorned these ponds. So once while Ramachandra Kaviraja was passing by these ponds, he was enthralled to note its beauty. In his mind, he then offered a couple of lotus flowers unto Lord Govinda, his worshipable Ishta deva. So later when Govinda Kaviraja plucked those same lotus flowers and offered them unto his worshipable Devi Durga, as he did every day, he was shocked to discover that Maa Durga was holding these lotus flowers in her hands, instead of them lying at her feet. Later he understood that Lord Krishna is the worshipable master of Maa Durga and hence anything offered to Krishna, is sacred to all, including the goddess. One day While Srinivasa and Ramachandra were sitting together at Jajigram, a messenger arrived carrying a letter from Govinda kaviraja. In that letter Govinda expressed that he was critically ill and requested his brother Ramachandra, to come and see him at Teliya Budhari. Ramachandra did not want to take leave from his spiritual master and so he hid the letter. A few days letter, Govinda wrote a second letter expressing that his health had deteriorated further and wished to see Ramachandra and Srinivasa Acharya. Actually, Govinda was a staunch devotee of goddess Durga and he prayed to the goddess for her mercy. It is said that he had reached a perfectional stage in his worship of the goddess and had even seen her face to face. So when Govinda asked for liberation from her and requested her to bestow her mercy ,so that he could cross over the ocean of birth and death, the goddess instructed him to meditate upon the lotus feet of Lord Krishna instead, if he wished to be delivered. The goddess revealed that she herself mediates upon and worships the reddish feet of the Supreme Lord. Krishna alone can deliver one from the clutches of material birth and death. Maa Durga added that there are hundreds of Durgas, shivas, and Brahmas who are constantly engaged in offering prayers and singing the glories of Lord Krishna. But they are yet to reach the end of the Supreme Lord’s unlimited glories. Only fools refuse to surrender unto Krishna, for He is the supreme controller and the ultimate protector. Hearing this, Govinda was left shattered. He could not believe his ears and realized that he had wasted his life not pursuing the path of devotional service unto Lord Krishna. He remembered his brother Ramachandra and wrote to him once more to meet him for the last time. On receiving this letter, Ramachandra went to Srinivasa Acharya and requested him to accept Govinda Kaviraja as his disciple. When he read Govinda’s letter, Srinivasa’s heart softened, and he decided to accompany Ramachandra to Teliya Budhari. Govinda was elated to hear this news and he ordered his son Divyasimha, to make all necessary arrangements to welcome Srinivasa. Banana trees were placed at crossings and mango leaves were strung at different places for decoration. Srinivasa arrived and went straight to meet Govinda Kaviraja. The ladies made auspicious sounds while drums and cymbals were being played very sweetly. Govinda, could not even sit up on his own and was helped by his relatives. Srinivasa Acharya blessed him by placing his lotus feet upon his head. Thereafter Srinivasa bathed and accepted prasadam. His remnants were fed to Govinda Kaviraja. As soon as he honored the remnants, Govinda started to feel better. 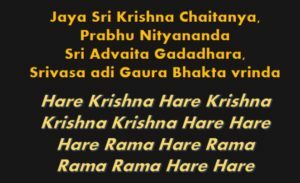 The next day, Govinda Kaviraja was given a bath, and thereafter Srinivasa Acharya initiated him and whispered the Hare Krishna maha-mantra in his ears. Srinivasa Acharya taught him on how to meditate upon Radha and Krishna and instructed him to read the books composed by the Goswamis. 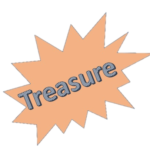 Govinda gradually regained his strength and gave several gifts like gold, clothes and other items unto his spiritual master in charity. He condemned his previous life and was very thankful to brother because it was only for Ramachandra that he had now received the mercy of Srinivasa Acharya. Govinda kaviraja lived for thirty-six more years and engaged himself completely in the service of Sri Guru and Gauranga. 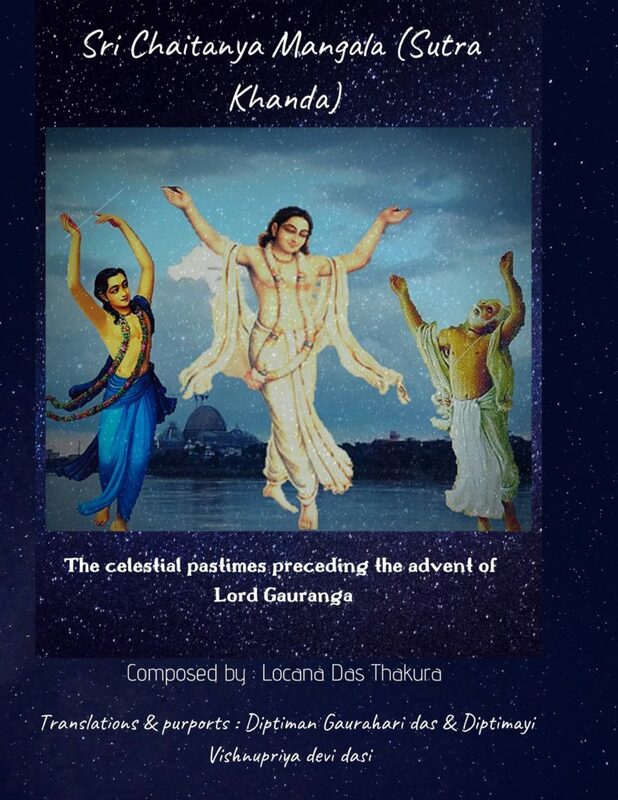 Govinda expressed his earnest desire to glorify Lord Krishna and Lord Gauranga through his poems. Srinivasa Acharya happily agreed and blessed him. Govinda Kaviraja’s poems were so powerful and so intense that many addressed him as the second Vidyapati. On the request of King Govinda Harinarayana, he composed a beautiful book dedicated to his brother Ramachandra Kaviraja. The book was named ‘Sri Rama Charitra Geeta’. On the request of King Santosh Dutta, the ruler of kheturi, Govinda composed a play known as ‘Sangeeta Madhava Nataka’. He was a regular visitor at the royal assemblies of the Kings of Jessore and Pakkapali. Sri Jiva Goswami also desired to relish his poems and requested Govinda to send his poems to Vrindavana. The senior devotees of Vrindavana found great satisfaction in reading Govinda’s bhajans and they conferred the title of ‘Kaviraja’ unto him. 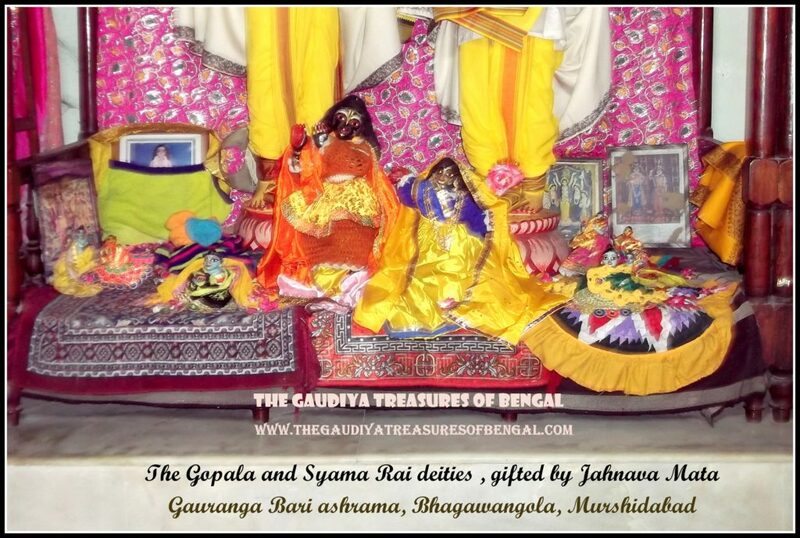 ‘The Gaudiya Treasures of Bengal’ considers itself exceedingly blessed to be able to sing glories of this great personality. Sri Govinda Kaviraja wrapped up his earthly pastimes in the year 1534 AD, in the month of Ashvin (September-October). At the Gauranga Bari ashrama of Bhagawangola, presently rests the Gaura Govinda and Gaura Gopala deities of Ramachandra Kaviraja and Govinda Kaviraja respectively. This beautiful and spacious temple is managed by the followers of Ramadasa Babji (founder of Pathbari ashrama). It is said that Ramadasa Babaji had rescued these exalted deities which were lying without care or any significant service and installed them at this place. 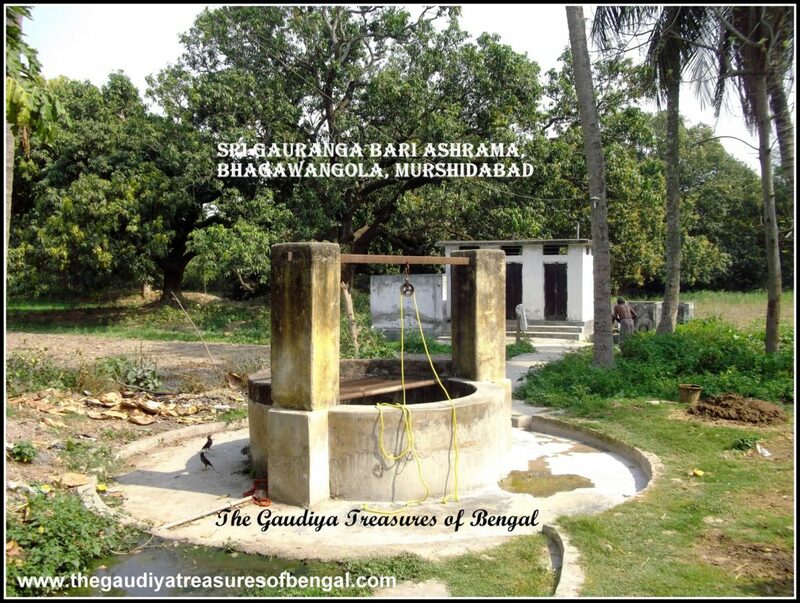 The village of Teliya Budhari is hardly a few kilometers from the Gauranga Bari ashrama in Bhagawangola. Only a few ruins of the ancient residence of Ramachandra and Govinda now remain at Teliya Budhari. 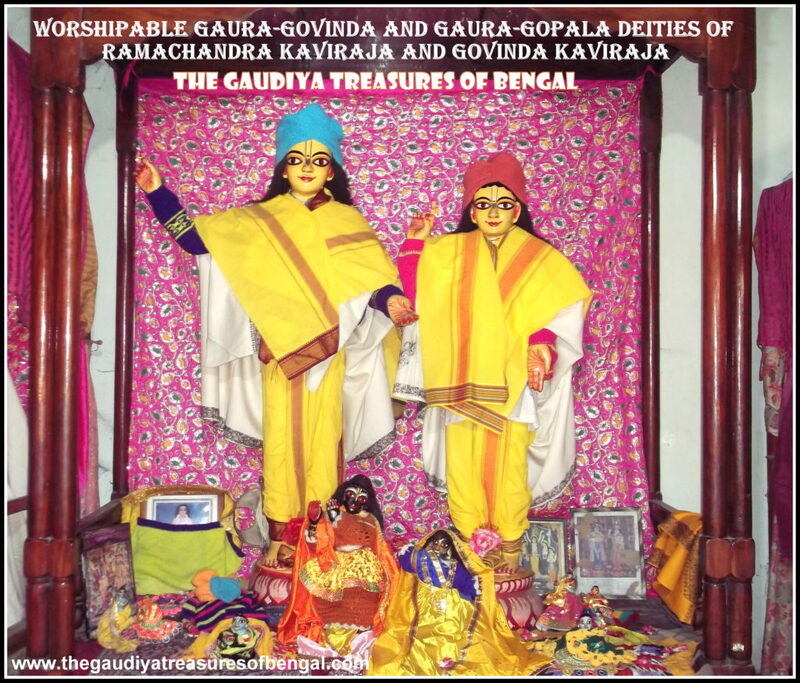 The worshipable Gaura Govinda and Gaura Gopala deities of Ramachandra Kaviraja and Govinda Kaviraja respectively. Jahnava Devi had rested at the sripat of Teliya Budhari for one night, while she was en route to participate in the Kheturi Mahotsava. While leaving, she had gifted a Gopala deity, that she was carrying, unto Divyasimha, the son of Govinda Kaviraja. 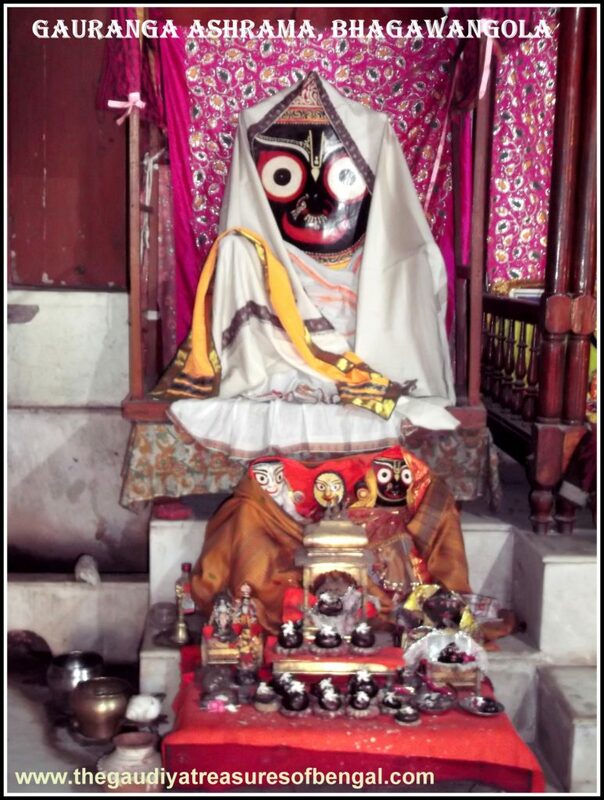 This deity is also worshipped at present in the Gauranga Bari ashrama. 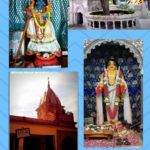 Later Jahnava Mata had come to Teliya Budhari once again, and this time she entrusted the care of the Syama Rai deities which she had brought from Vrindavana, unto Bodo Gangadasa. It is said that when Bodo Gangadasa pondered on how he would be able to take care of these deities, Sri Syama Rai appeared in his dream and assured him that He would eat anything little that was offered unto Him. These Syama Rai deities are also currently being served in this dham. Every year hundreds of devotees gather at this temple in the month of Kartika to celebrate the disappearance of Ramachandra Kaviraja. A great festival is held at that time. We worship the lotus feet of our spiritual master, whose causeless mercy has empowered us ineligible fools, to gain entrance and take up service in this exalted abode of Teliya Budhari. We seek the shelter of this holy land, and pray that its glories remain forever imprinted in our heart.‘The Gaudiya Treasures of Bengal’ offers millions of obeisances and humbly prays to Sri Ramachandra and Govinda Kaviraja that we advance in our Krishna consciousness, develop attachment unto the lotus feet of Lord Gauranga and are able to serve Sri Guru & Vaishnavas, with our honest and sincere efforts. We seek their blessings and compassion, in successfully rendering this humble service of reciting the pastimes and revealing the pastime places of the Supreme Lord and His beloved associates. We shall consider ourselves greatly fortunate and our existence meaningful if Lord Gaurahari and our dear spiritual master are kindly pleased with our endeavors. Murshidabad is well connected to Kolkata via roads and railways and it takes hardly a few hours for one to reach Murshidabad from Kolkata. 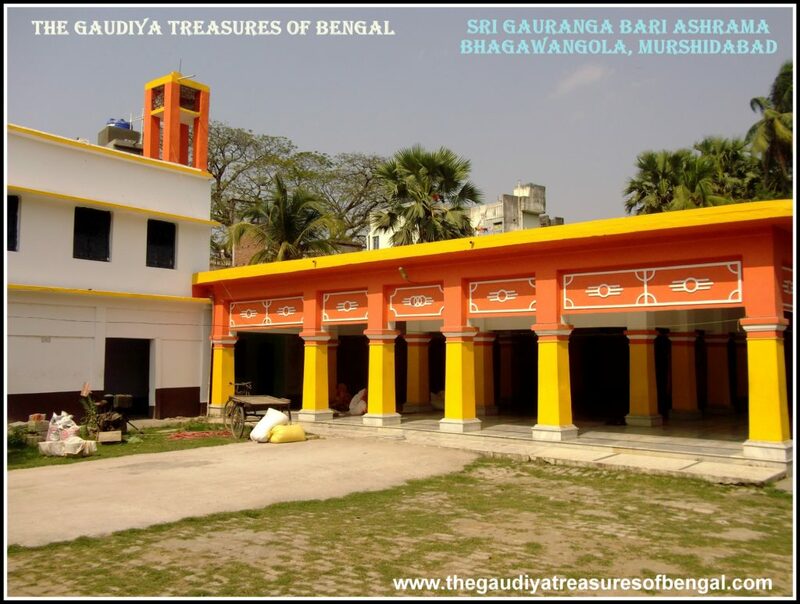 Bhagawangola is situated a few stops from the Murshidabad city. 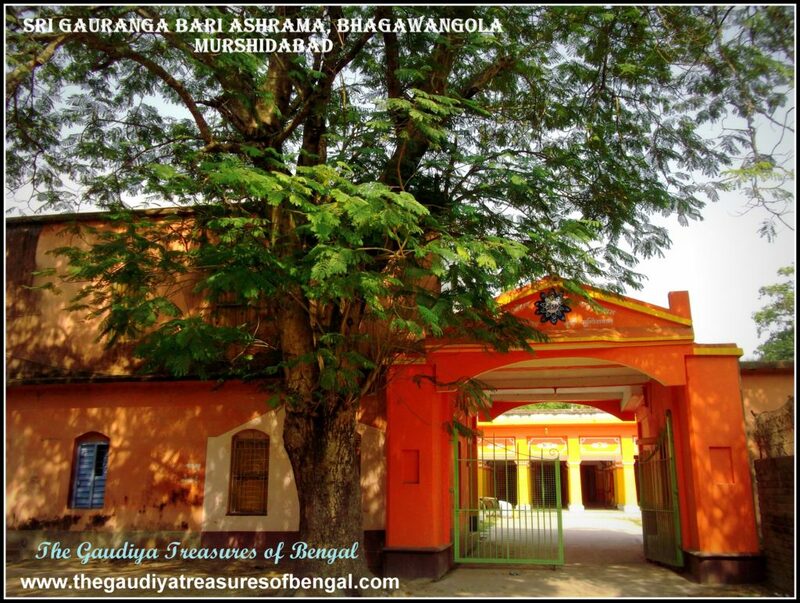 This temple at Bhagawangola is a few minutes walk from the Bhagwangola station, and is renowned as ‘Gauranga Bari ashrama’. Some people also refer to it as ‘Akhra Bari’. 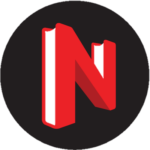 Accommodation – One can choose to stay at any of the prominent hotels of Murshidabad city. 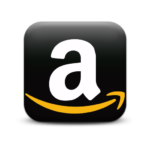 Bhagawangola is hardly a half-hour drive from Murshidabad city. We leave you with a heart melting composition of Govinda Kaviraja, a song that summarizes the reality of material existence. O mind! Please worship the lotus feet of the son of Nanda, which make one fearless. Having obtained this rare human birth, please associate with devotees in order cross over this ocean of worldly existence. 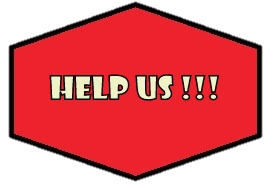 I remain sleepless throughout the day and night, suffering the pains of heat, cold, wind and the rain. For flickering happiness, I have uselessly served wicked and miserly men. What assurance of real happiness and bliss is there in all of one’s wealth, youthfulness, sons, and family members? This life is tottering like a drop of water placed upon a lotus petal. Therefore please worship the lotus divine feet of Lord Hari. It is the earnest desire of Govinda das to engage in Hearing, chanting, remembering and offering prayers unto Lord Hari, serving His lotus feet, becoming His servant, worshipping Him and serving Him as a friend and surrendering myself completely unto Him.